Arthur Horner was born in Merthyr Tydfil in 1894. Poverty forced Horner to leave school at the age of eleven. He worked at a barber’s, as a grocer’s delivery boy and also at the local railway office. Horner was deeply religious and at seventeen obtained a scholarship to attend the Baptist College in Birmingham. However, he left six months later and found work at Standard Collieries in the Rhondda Valley. Horner also joined the Independent Labour Party (ILP) and also became an active member of the National Union of Mineworkers. He joined forces with other left-wing radicals such as A. J. Cook. In 1914 Horner began is campaign against Britain's involvement in the First World War and took part in the fight against conscription. A close friend of James Connolly, in 1916 he travelled to Dublin to join the Irish Citizen Army and took part in the Easter Rising. On his return to Wales he became a checkweighman at Maerdy Colliery. He refused to be conscripted into the British Army and in 1917 he was arrested and charged with sedition, under the Defence of the Realm Act. He was found guilty and sentenced to six months' imprisonment in Wormwood Scrubs. 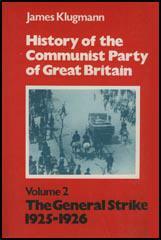 Horner had been impressed with the achievements of the Bolsheviks following the Russian Revolution and in April 1920 he joined forces with Tom Bell, Willie Gallacher, Arthur McManus, Harry Pollitt, Helen Crawfurd, A. J. Cook, Rajani Palme Dutt, Albert Inkpin and Willie Paul to establish the Communist Party of Great Britain (CPGB). McManus was elected as the party's first chairman and Bell and Pollitt became the party's first full-time workers. After the war A. J. Cook became leader of the South Wales Miners' Federation. Horner became his deputy. Cook left the Communist Party of Great Britain over disagreement over industrial policy and rejoined the Independent Labour Party (ILP). However, Horner remained a loyal party member. In 1924 Harry Pollitt was appointed General Secretary of the National Minority Movement, a Communist-led united front within the trade unions. Pollitt worked alongside Tom Mann and according to one document the plan was "not to organize independent revolutionary trade unions, or to split revolutionary elements away from existing organizations affiliated to the T.U.C. but to convert the revolutionary minority within each industry into a revolutionary majority." Horner became one of the leader of the Miners’ Minority Movement. Later that year Frank Hodges, general secretary of the National Union of Mineworkers was forced to resign following his appointment as Civil Lord of the Admiralty in the Labour Government. A. J. Cook went on to secure the official South Wales nomination and subsequently won the national ballot by 217,664 votes to 202,297. Fred Bramley, general secretary of the TUC, was appalled at Cook's election. He commented to his assistant, Walter Citrine: "Have you seen who has been elected secretary of the Miners' Federation? Cook, a raving, tearing Communist. Now the miners are in for a bad time." However, his victory was welcomed by Horner who argued that Cook represented “a time for new ideas - an agitator, a man with a sense of adventure”. In 1925 the mine-owners announced that they intended to reduce the miner's wages. The General Council of the Trade Union Congress responded to this news by promising to support the miners in their dispute with their employers. The Conservative Government, decided to intervene, and supplied the necessary money to bring the miners' wages back to their previous level. This event became known as Red Friday because it was seen as a victory for working class solidarity. The Prime Minister, Stanley Baldwin, stated that this subsidy to the miners' wages would only last 9 months. In the meantime, the government set up a Royal Commission under the chairmanship of Sir Herbert Samuel, to look into the problems of the Mining Industry. The Samuel Commission published its report in March 1926. It recognised that the industry needed to be reorganised but rejected the suggestion of nationalization. The report also recommended that the Government subsidy should be withdrawn and the miners' wages should be reduced.The month in which the report was issued also saw the mine-owners publishing new terms of employment. These new procedures included an extension of the seven-hour working day, district wage-agreements, and a reduction in the wages of all miners. Depending on a variety of factors, the wages would be cut by between 10% and 25%. The mine-owners announced that if the miners did not accept their new terms of employment then from the first day of May they would be locked out of the pits. It soon became clear that A. J. Cook and Horner would play an important role in the proposed strike. David Kirkwood remarked that: "Arthur Cook, who talked from a platform like a Salvation Army preacher, had swept over the industrial districts like a hurricane. He was an agitator, pure and simple. He had no ideas about legislation or administration. He was a flame. Ramsay MacDonald called him a guttersnipe. That he certainly was not. He was utterly sincere, in deadly earnest, and burnt himself out in the agitation. "A Conference of Trade Union Congress met on 1st May 1926, and afterwards announced that a General Strike "in defence of miners' wages and hours" was to begin two days later. The leaders of both the Trade Union Council and the Labour Party were unhappy about the proposed strike, and during the next two days frantic efforts were made to reach an agreement with the Conservative Government and the mine-owners. On 21st June 1926, the British Government introduced a Bill into the House of Commons that suspended the miners' Seven Hours Act for five years - thus permitting a return to an 8 hour day for miners. In July the mine-owners announced new terms of employment for miners based on the 8 hour day. The miners were furious about what had happened although the General Strike was over, the miners' strike continued.For several months the miners held out, but by October 1926 hardship forced men to begin to drift back to the mines. By the end of November most miners had reported back to work. However, many were victimized and remained unemployed for many years. Those that were employed were forced to accept longer hours, lower wages and district agreement. It was a terrible defeat for A. J. Cook and Horner. 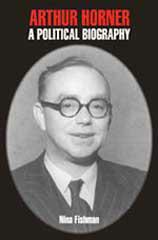 Horner remained a member of the Communist Party of Great Britain and in 1933 he stood unsuccessfully as a Parliamentary candidate in the Rhondda East by-election. Horner retained his popularity with union members and in 1936 he became President of the South Wales Miners' Federation. According to Will Paynter: "It is my opinion that Arthur Horner was without question the ablest negotiator to come out of the British coalfields." On the outbreak of the Spanish Civil War, Horner and the CPGB was involved in the creation of the International Brigades. Horner was a major critic of the British government policy of Non-Intervention. According to the author of The Spanish Civil War and the British Labour Movement (1991): "Arthur Horner moved the resolution which called on the government to abandon Non-Intervention and to give Spain the right to buy arms, and called on the TUC to convene a meeting of executive committees to examine how to achieve this." Horner became president of the National Union of Mineworkers in 1946. He retired from the post in 1959 and was replaced by Will Paynter. Arthur Horner died in 1968. The outstanding development, common to all industries, is that of speeding-up. In the mining industry, increased mechanisation both for the cutting and conveying of coal, has increased the intensity of labour. In order to get the fullest use of the machinery, the working day is being lengthened by systematic overtime. Men are given a stipulated task in excess of what is possible within the stipulated hours and stay on until this task is completed. The effect of this on safety is considerable. The tendency to minor accidents and to major disasters alike is accentuated. The effect of this speed-up on employment is absolutely unmistakable. The output per man employed, increased from 21.69 cwts. in 1929, to 23.95 cwts. in the March quarter of 1936. And mechanisation has still some way to go. 47 per cent. of coal is cut by machines and 37 per cent. is conveyed. Much can still be done. So even with a considerable increase in the demand for coal, there is unlikely to be any increase in the demand for men - unless there is a reduction of the hours of labour. Stafford Cripps, the main Labour Party speaker, while keen not to appear to lecture to the unions, said that the turning point would come when British workers showed the government that they were "not prepared to enter into any bargains or make any concessions for a foreign policy which was sacrificing their brothers and sisters in Spain." Resolutions were carried which called for public opinion to be mobilised, for material help to be given to Spain and to "support any political, economic and industrial action which may be taken in support of these objects." Over lunch the trade union delegates conferred, with Horner in the chair, and a deputation was appointed to visit the TUC and demand a meeting to discuss `coercive measures' to bring pressure on the government. However, Citrine refused to meet an `unofficial body' and advised the deputation to submit their proposals to the General Council." Five days later the miners' federation (MFGB) held an emergency conference in the Conway Hall specifically to discuss the situation in Spain." Arthur Horner moved the resolution which called on the government to abandon Non-Intervention and to give Spain the right to buy arms, and called on the TUC to convene a meeting of executive committees to examine how to achieve this. Horner said that he was satisfied with the efforts of Labour MPs over Spain but, given the government's intransigence, some other form of pressure was necessary so that their efforts could be supplemented by "what may be done from the outside". The intended conference would have to devise a method of "coercion" against government policy - they needed "to initiate a movement to give assistance to Spain in a practical way altogether beyond anything we have thought of up to now". To say that the coal situation of this country is critical is an understatement. It can easily become catastrophic. If the mine-workers of this country fail for any reason at all to produce coal for a period of three weeks, no train would run, no electrical undertaking could be carried on, no gas could be produced and no factory could work. This is the nature of the coal crisis at the present time. And this I suggest adds to the warning given by Comrade Pollitt yesterday to those who so lightly talk of bringing an end to industrial activities in important industries in this country. Were it not for the promise which the Government has made to nationalise the mines, the British mining industry would probably be in the same cauldron of discontent as other great industries at this particular time. I would give this warning to those in the country who condemn nationalisation in the mining industry: it is nationalisation or no. They must have one if they are to have the other. There can be no choice so far as the miners are concerned - the industry must be nationalised at the speediest possible moment, otherwise this country will be denuded of the coal it requires to carryon its undertakings. This coal must be got by miners, and miners are a disappearing force in this country. There are some people who continue to regard the responsibility for coal production as a miner’s obligation. It is not a miner’s obligation - it is the obligation of the general population of this country. We have now reached an unprecedented state. The week before last we had only 697,000 miners working in the mines. This is the lowest number in living memory. We are losing miners at the rate of 45,000 a year, and only a trickle is entering the industry to make up for the loss. Men must be attracted to the mining industry, and you cannot depend any longer upon recruits for the mining industry coming from miners’ sons or from the people who live in the mining areas. We will never admit that we are a section of the community condemned to the responsibility for ever for providing the manpower to get the coal of this country. The gravity of the situation confronting the British people in 1948 is such as to require the fullest solidarity, the utmost measure of unity amongst all sections of the trade union movement. Food shortages, reduced intake of calories per head, rising prices, cuts in investments in housing and schools, unemployment growing along with a developing capitalist offensive - the situation is such as can be met only by the strength and determination of a united working class. This moment has been chosen by Mr. Morgan Phillips, the Secretary of the Labour Party, as the occasion to introduce tactics of splitting and dividing the trade union movement. This attempt to split the movement, this instruction to the trade unions from on high that they must drive out their duly elected officials if they are Communists, was hugely boosted in the capitalist press and applauded by the most reactionary newspapers. What has actuated this attack? Does he bring forward any reasoned grounds, any facts on which an argument might be based? No, the facts are lacking in this inflammatory circular of 21st December. More, the one over-riding reason for this attack is not so much as mentioned, namely, that the American capitalists are intensifying their campaign against Socialism and trade unionism, first in their own country, then in France, and now in Britain. The rest is the heated imagination of Mr. Phillips.That is why this circular contains no reasoning based on reality but much based on assumptions that have no validity. This is the old trick of setting up an Aunt Sally and then knocking it down. The Communist Party has voiced the feeling of rank and file trade unionists that they are not prepared to see the conditions of the workers and their families worsened while swollen profits keep mounting in industry after industry. Immediately Mr. Morgan Phillips soars into the realms of fancy and says “we can expect a campaign of sabotage . . . we can expect Communist inspired attempts to foment discontent in the factories . . . we can expect intensified attempts to undermine and destroy the labour movement from within.” Why does Mr. Morgan produce these “we can expect” phrases, these expectations of a heated imagination, instead of facts? Is it because he has no facts to produce? Is it because the Bevin-Cripps policy has caused a wave of discontent, which the Right-Wing want to stifle by ascribing its origin to the Communists, as employers used to ascribe discontent to “agitators” or as Hitler used to say “the Jews” are responsible for everything that had gone wrong?